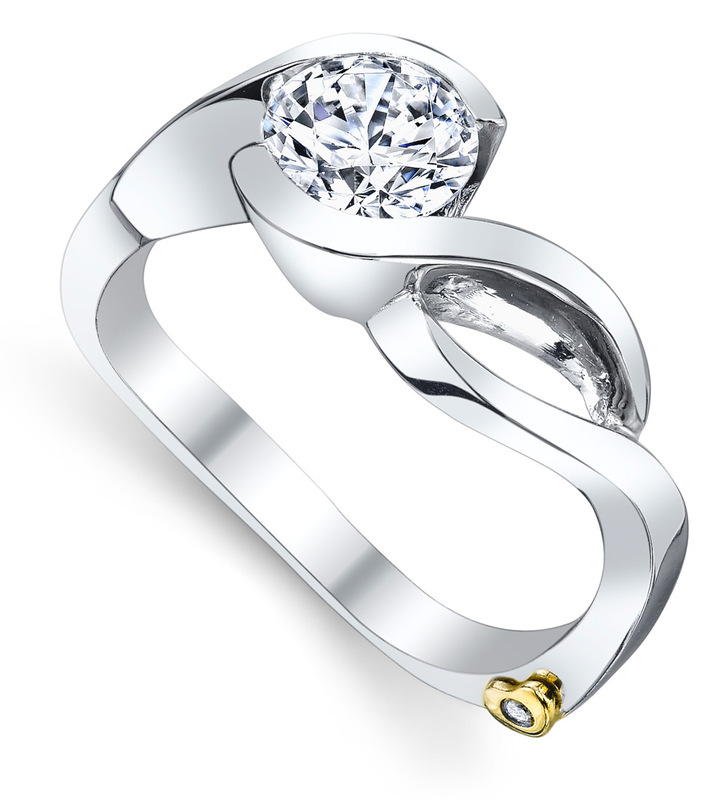 Made to capture the swirling shapes of a dancing fire, this modern ring design has a swirling split shank that hugs the center stone in curved gold. 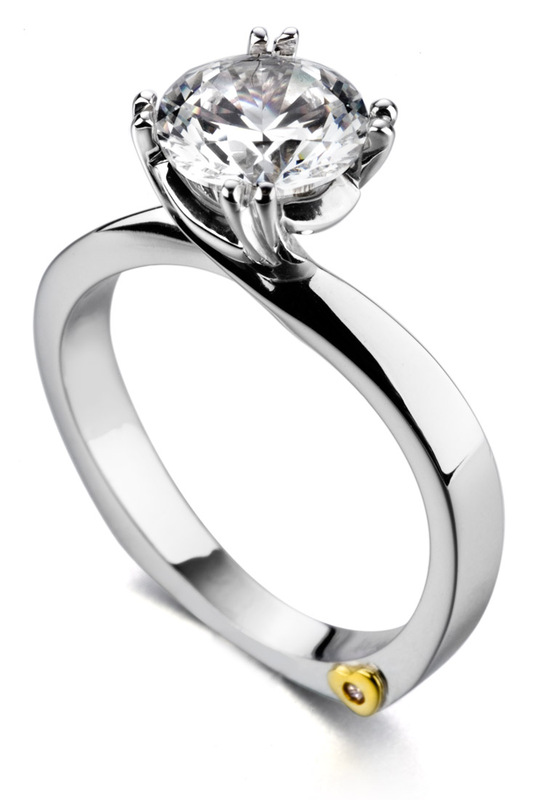 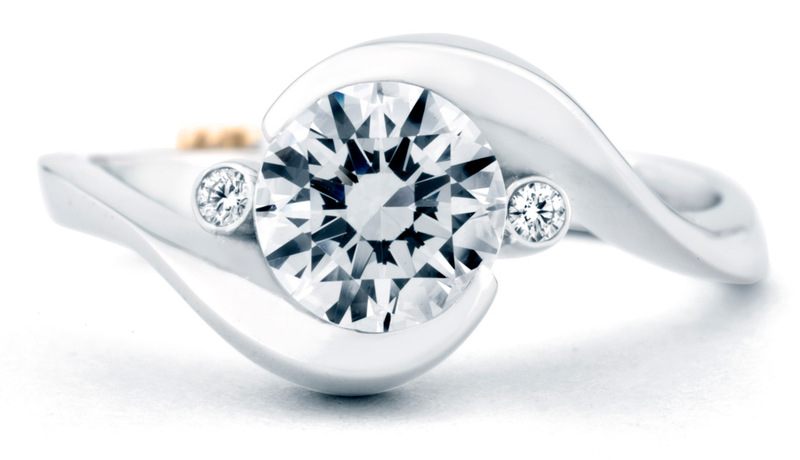 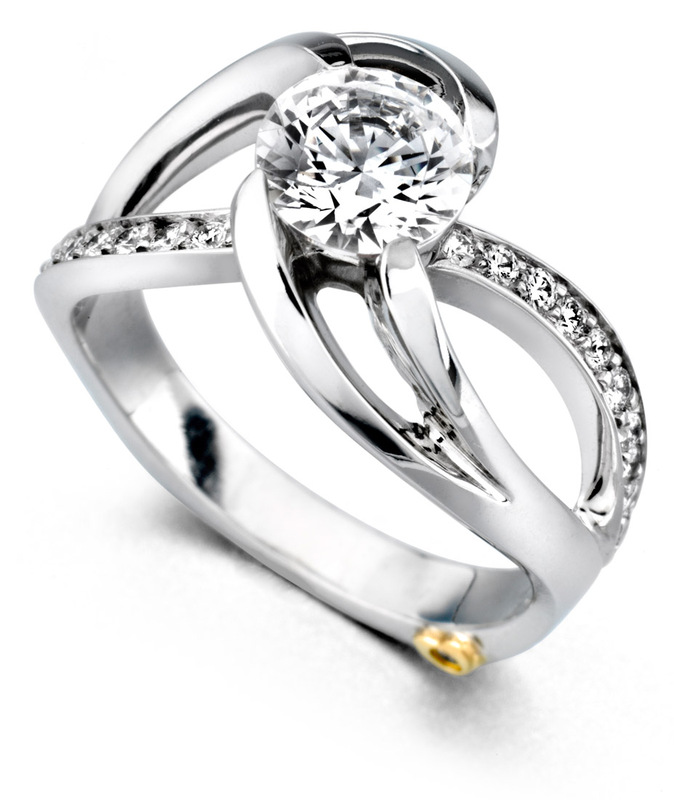 The square bottom European shank also features the “secret heart” with a round brilliant cut diamond set inside. 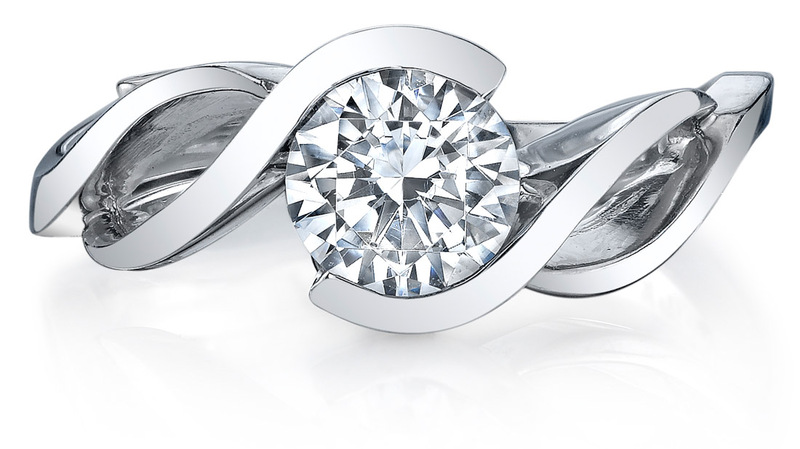 If you like clean modern designs with a little twist, this ring is your perfect match.